A ONE HORSE OPEN SLEIGH California-style! Sleigh rides available December 7th – 13th and December 16th -31st. Choose between 5:45pm or 7:30pm departure times for an hour and 15 minute ride. 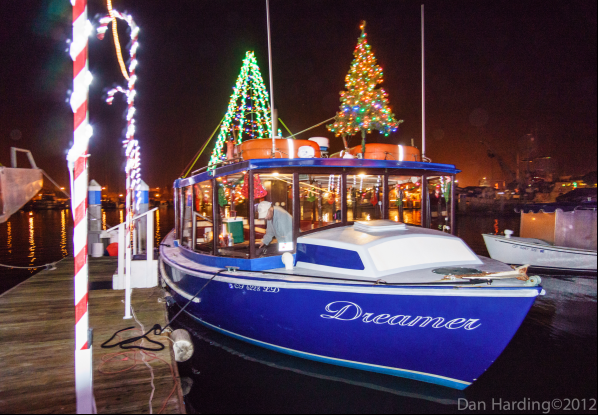 Take a California Sleigh Ride through the Ventura Harbor and Ventura Keys with Ventura Boat Rentals! Holiday lights dazzle as they reflect upon the water from boats in the Ventura Harbor, Ventura Harbor Village, and the decked out homes in the Ventura Keys neighborhood! Bar available on board for guests 21+ including the famous Reindeer Milk!